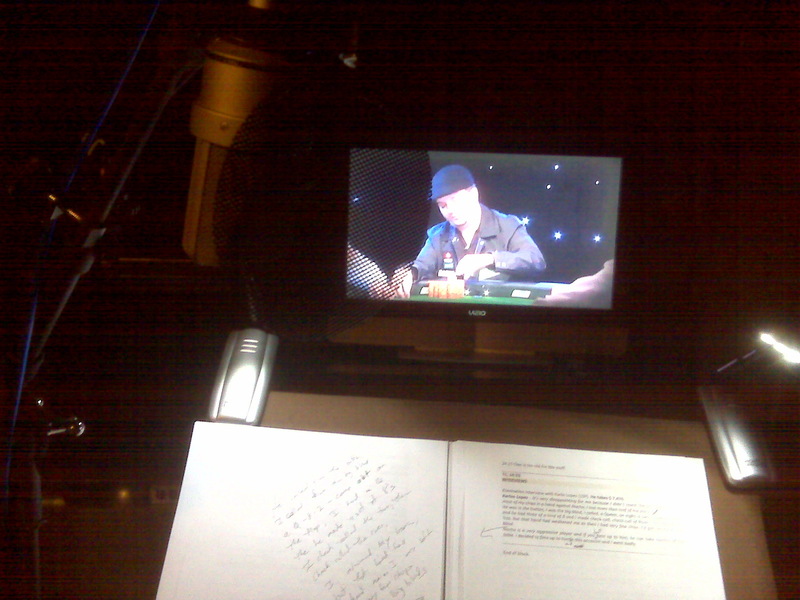 Sitting in the studio in the middle of a session as a translation voice for a poker show. We knocked out all 8 episodes in one crazy 10 hour session in the amazing studios at Dog and Pony Studios! This entry was posted in Uncategorized and tagged bellboyaudio, las vegas, poker, voice over. Bookmark the permalink.